Last weekend was the first warm, sunny weekend of the year here in the Pacific Northwest and everyone and their dog and their other dog were at our favorite off-leash park, Marymoor. After months of grey skies and very short days, everyone is happy to see the sun light. I love that all these people made an afternoon with their dog part of their weekend. 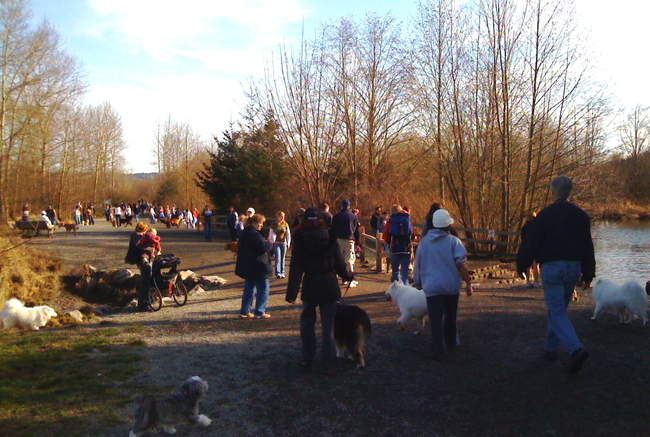 Marymoor is a massive off-leash park at 40 acres and 700 feet of river access, and still it was filled with people and very happy dogs. We witnessed a joyous canine reunion between two friends–a black lab and a chocolate lab. They leaped at each other, gamboled, wrestled, ran around like crazy dogs, greeted other dogs who came up to see what all the hubbub was about, and wrestled some more. This went on for ages. They were still playing whole heartedly as we moved off to a different part of the park. Later in the year, the grass gets as high as my hip and Saffron loves dashing through it, running in huge circles, and finding us hiding in it. It’s a wonderful chance to see the real dog in her, which is just what off-leash parks are great for. It’s good exercise, but it’s also a chance for your dog to be a dog. You can really see their instincts come through whether it’s herding, pointing, tracking, going to ground (going down burrows after “prey”), guarding, swimming, retrieving, etc. 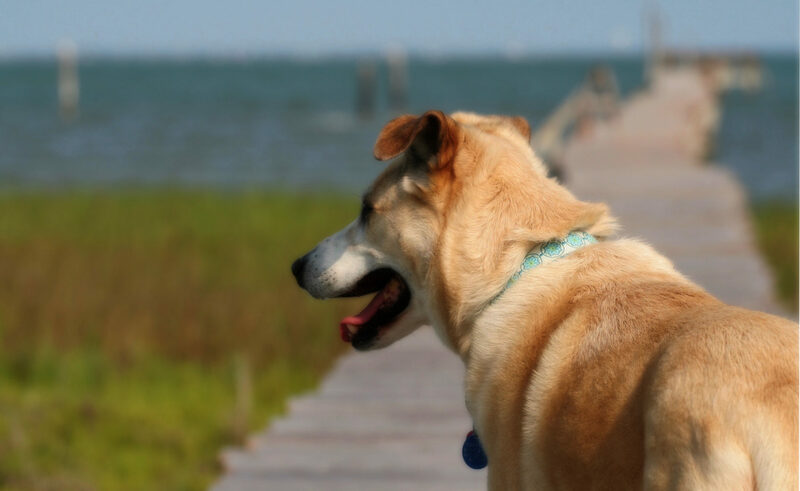 Off-leash parks can be a great place for you to socialize your dog with other dogs and humans. If you’re lucky, most people at an off-leash park are somewhat dog-savvy and understand if you’re working on some issues with your dog. (Of course, if your dog has serious issues, seek professional help.) Most people were understanding when we said we were working on Saffron’s fear and submissiveness, even when she snapped at their dog out of fear. And we humans need to remember it’s a DOG park. Don’t wear nice clothes, don’t bring food, and don’t let your children run around shrieking or carrying a dog toy. So, be sure to support off-leash parks if you have them. Many times improvements and clean-up are funded by friends-of-the-dog-park type organizations, so your membership is important.